Understanding Galois representations is one of the central goals of number theory. Around 1990, Fontaine devised a strategy to compare such p-adic Galois representations to seemingly much simpler objects of (semi)linear algebra, the so-called etale (phi, gamma)-modules. This book is the first to provide a detailed and self-contained introduction to this theory. The close connection between the absolute Galois groups of local number fields and local function fields in positive characteristic is established using the recent theory of perfectoid fields and the tilting correspondence. 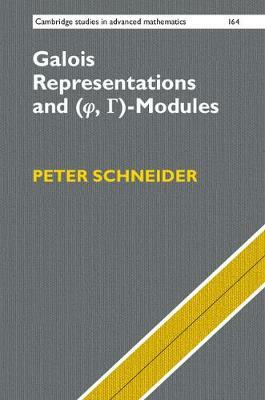 The author works in the general framework of Lubin-Tate extensions of local number fields, and provides an introduction to Lubin-Tate formal groups and to the formalism of ramified Witt vectors. This book will allow graduate students to acquire the necessary basis for solving a research problem in this area, while also offering researchers many of the basic results in one convenient location.